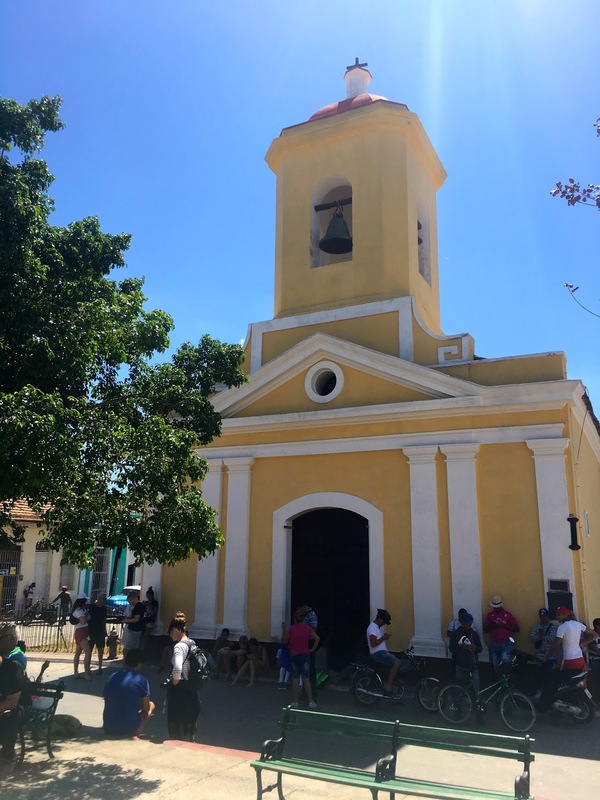 Trinidad is East of Cienfuegos and unfortunately the harbour is pretty shallow so we opted to take a taxi to visit this ‘must see’ historic town on the Cuban tourist trail itinerary. 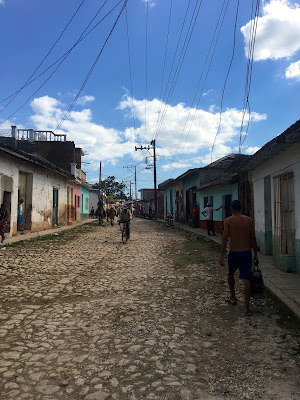 We took a bus for 1 local peso each into the centre of Cienfuegos and then set about negotiating a good deal with a taxi driver - at the marina the taxis were charging way over the top as they are used to dealing with charterers. The minute we met Ricardo we knew we had found a character. 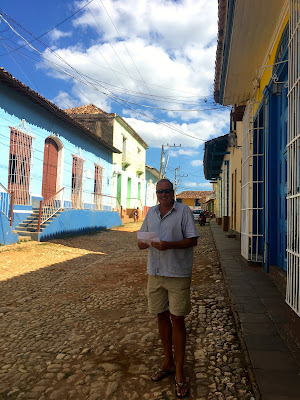 We agreed on 50CUC for his services for the rest of the day and he was so happy he wouldn’t stop singing all the way to Trinidad, which was about 80 kilometres on pretty good roads in his scruffy moscowitch car, that only overheated once. He didn’t speak much English but was patient with us while we tried to understand him. We learned that his son was in A’Coruna in Spain on a music scholarship and his daughter had just had a baby. Every time he saw someone he knew along the way there was huge waving and horn honking – then back to the singing. Ricardo left us to explore Trinidad for the afternoon. Trinidad is a perfectly preserved Spanish settlement that dates back to the early 1800s. The historic district is fairly touristy around the main squares, however the beauty is within the back streets where country people live in pastel coloured single story cottages on cobblestone streets as if nothing has changed in 150 years. There are horses, carts and donkeys everywhere with the odd old American car. The men wear cowboy hats, smoke cigars and are very dark skinned; music of course plays everywhere. The whole town sits under a mountainous backdrop and you just feel like you have stepped back in time. The town has been a national monument since the 60s and a UNESCO world heritage site since 1988. We had a lovely afternoon wandering around with a spot of light lunch on a roof terrace overlooking the city. Then it was back to find Ricardo waiting for us for the trip home through the lovely rolling hills and valleys of the Sancti Spiritus Province and passed some nice beach areas and several deep rivers breaking out into the ocean. 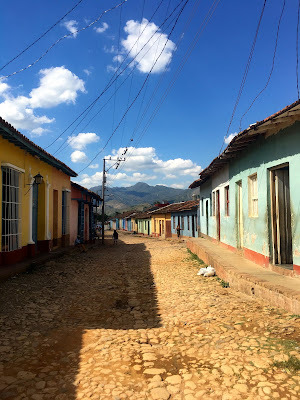 As we approached the city, Ricardo invited us to come to his home. Cowboys of Trinidad and Andrew too! We pulled off the main road into a housing area that was industrial to say the least – kind of like US ‘project’ housing – block after block of four story flats with concrete recreational areas in between and just the odd tree. Unlike this sort of housing in other parts of the world there was just the odd car and when we got out of Ricardo’s car everyone smiled and said Hola – even the teenagers playing football. There was an exercise park with those mechanical exercise machines that in any other place in the world no-one ever uses, however this was packed with bright lycra clad people taking serious workouts while chatting and laughing loudly. Ricardo lived on the top floor of one of the blocks, up a concrete open stairway. Through a gated entry was a cosy flat with two bedrooms, a tiny living room, a balcony and a kitchen that could fit just one person as the twin-tub washing machine took up most of it. Ricardo’s wife did nails and had a nail bar that took up about a quarter of the living room. His daughter, son in law and new baby were also at home. We were instructed to sit on the best chairs and given a watered down beer; I guess they only had one. On the top shelf above a few knick-knacks was an empty 18 year-old rum bottle and an empty sparkling wine bottle – obviously from special occasions. They had a TV and DVD player and one mobile phone that they shared. Not a lot but it was all clean and tidy. The baby was only 18 days old and the family were all very proud showing us pregnancy photos taken of the gorgeous couple. 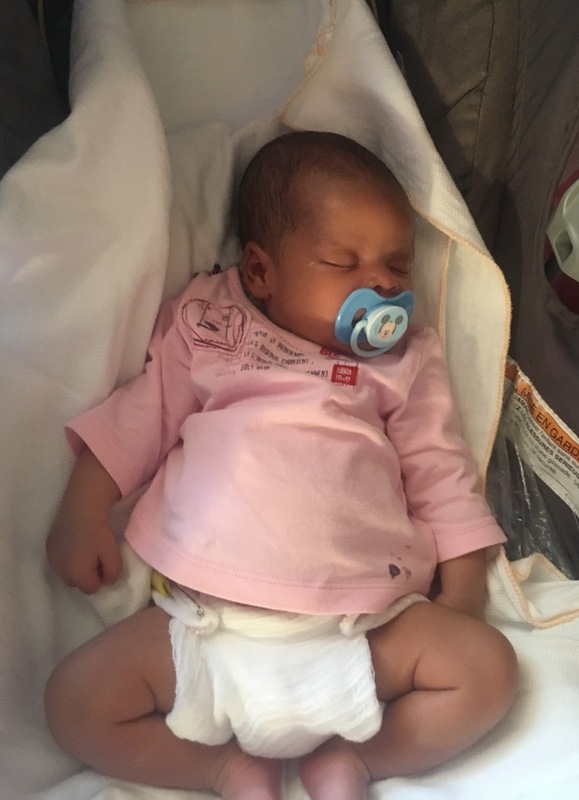 She had a cloth nappy with pins – no pampas in Cuba, and was fast asleep in her nearly new push-chair, despite all our laughing and bad Spanish. Much like when we were at Noel’s home in Santiago, neighbours came and went without knocking. Ricardo has lived here for over 30 years and explained he can move; however we think he said, the process is prohibitively expensive and difficult. He likes it there and the neighbours are like family. On the surface it looked grim when we arrived, but we came away feeling like Ricardo and his family were happy and enjoyed life in ‘the projects’. We left a small cash gift for the baby and went away with kisses all round. 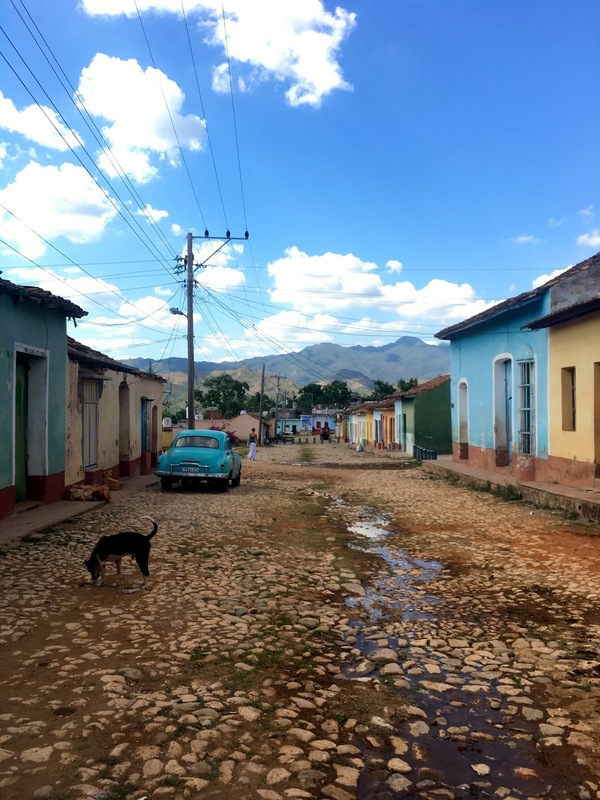 We have heard the saying often from Cubans, that they are poor, but rich in happiness and we see this in action nearly everyday. They really celebrate what they have here and it comes from the heart.